With the conclusion of my 2-year long project on Patagonia this year, a perfect reflection was one of the last remaining goals. A rarity in this land of the winds! This perspective is from a unique area featuring an old tree at sunrise. 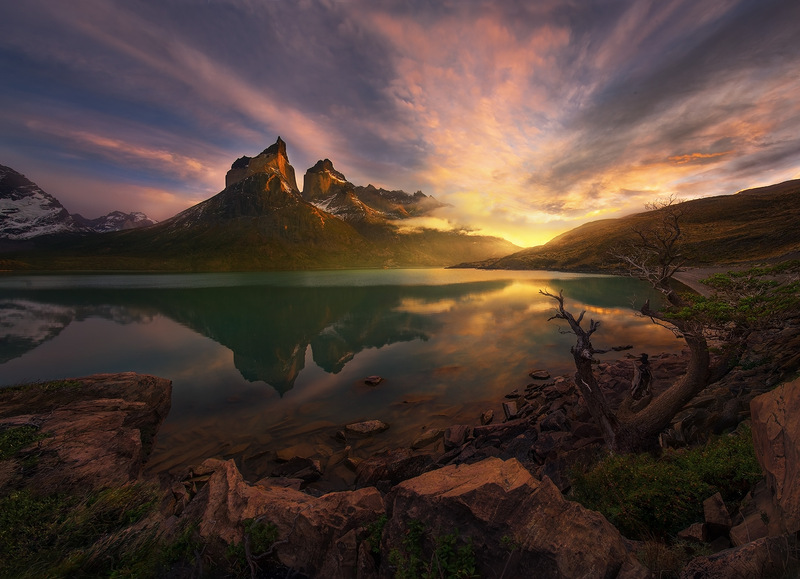 Photo © copyright by Marc Adamus.